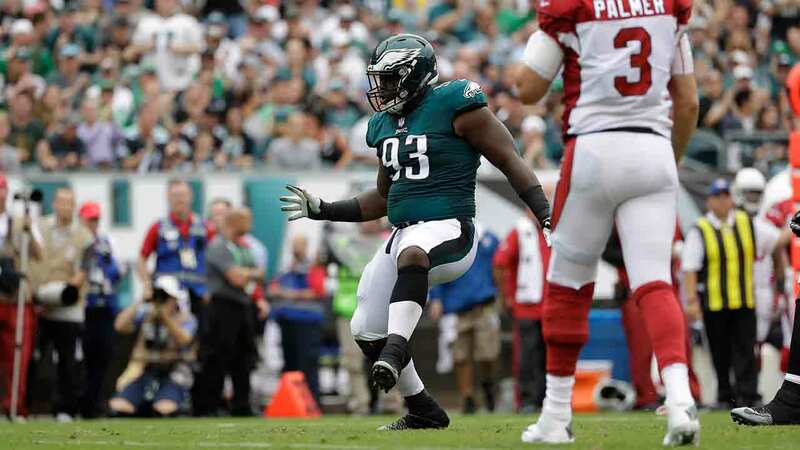 The Philadelphia Eagles have signed defensive tackle Timmy Jernigan to a four year extension. Sources tell Action News that the deal is worth $48 million, including $26 million fully guaranteed. Jernigan, a second-round pick in 2014, came to the Eagles as part of a trade deal with the Baltimore Ravens back in April. The #Eagles like what they’ve seen. They sign DT Tim Jernigan to a 4-year contract extension. With the Eagles, Jernigan has played a big part in the NFL's best defense against the rush. He has recorded 1.5 sacks and 19 tackles in the Birds' nine games so far, helping the team to a league best 8-1 record. "Since the day he entered the building, Tim has been a difference-maker both on the field and around the building," the team said in a statement. "He's a tough, physical, and relentless player who brings energy and enthusiasm every day. Tim possesses a lot of the qualities that we look for as we continue to build this team and we are excited about his future here in Philadelphia."